In order to help those we serve, HopeNet relies on volunteers who can be the hands and feet of Christ. Several volunteer positions are available. Call Carly at 316-684-4673 to see if this would be a fit for the gifts God has given you. Training will be provided. Do you desire a safe and practical way to come alongside people in our community break free from generational poverty? HopeNet is offering the Getting Ahead Workshop for a limited group of people and needs volunteers from area churches who want to bridge the gap between those in poverty and the church. This workshop gives participants the tools they need to Get Ahead out of poverty. We need meal providers, hostesses and childcare volunteers to make this workshop a success. Getting Ahead is an innovative initiative program that builds community and personal responsibility for individuals living in poverty. Click here to find out how to get involved. Call for more information or sign your group up! 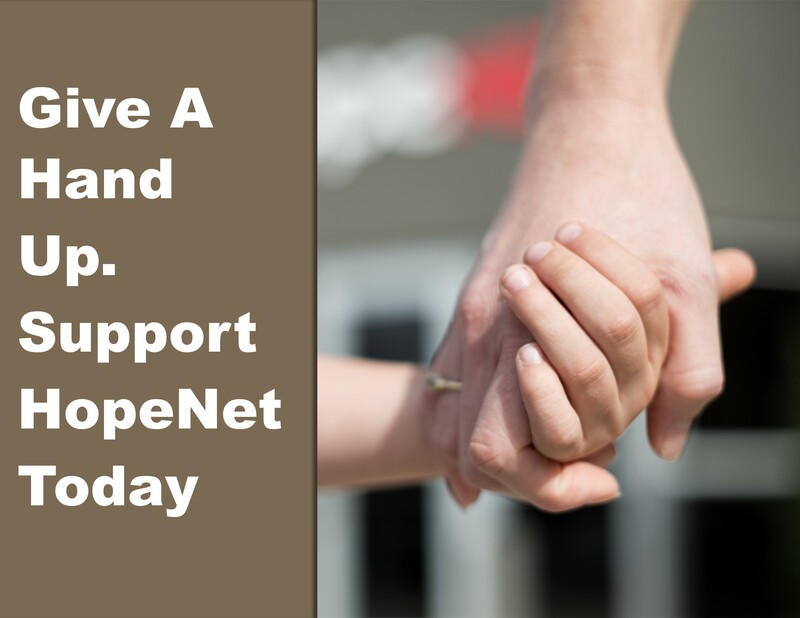 HopeNet understands the power of prayer in our lives as well as the lives of our clients. The Prayer team is made up of devoted prayer warriors that life HopeNet to the Lord daily. We value your prayers! Individuals who feel called to pray for HopeNet now have an opportunity to schedule a block of time at HopeNet to do just that. Call 316-684-4673 to come once or on a regular basis. We have a prayer book with updated staff and client prayer requests to help guide your time. Adopt our staff! We need prayer and encouragement as we serve.